Taste of Little Italy comes to the Comic Book Lounge! Running this entire weekend on College Street between Bathurst and Shaw street it’s the annual TASTE OF LITTLE ITALY street Festival, and the Comic Book Lounge + Gallery is located right in the heart of it at College and Clinton! We’ve got TONS of fun things planned, with great guests like Agnes Garbowska, Chris Yao, Mike Del Mundo and Spent Pencils Studio on Saturday, cosplayers (remember how awesome they made FCBD 2012? ), Wii games and movies in the Lounge area, and we’ll have deals aplenty — like our first ever $2 Archie Digest Sale and bargain books table! Plus — our new door sign debuts today! TASTE OF LITTLE ITALY EXTENDED HOURS! FRIDAY – Noon until 10pm. SATURDAY – Noon until 10pm. SUNDAY – Noon until 5pm. COME TO THE TASTE OF LITTLE ITALY AND WATCH THE EURO CUP! 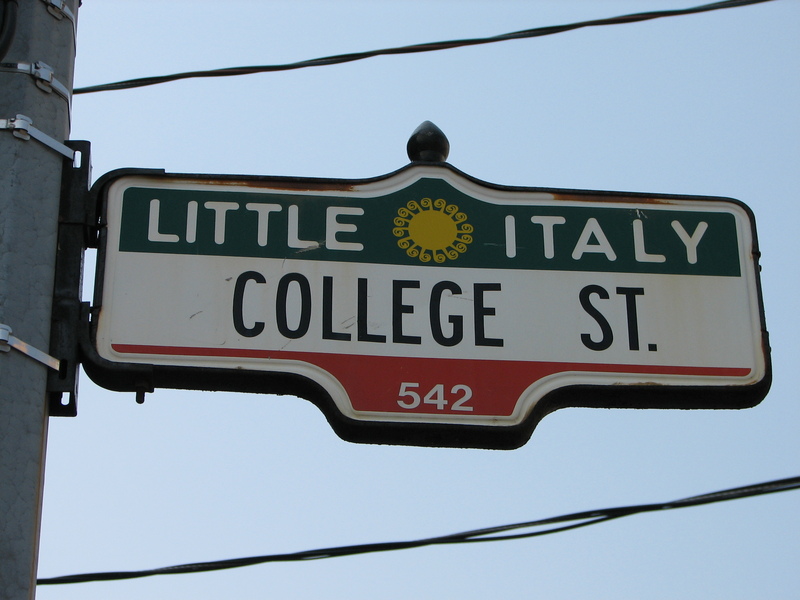 College Street, Toronto – Italian villages celebrate life in the piazza, or town square, with music, food, a little vino and a lot of fun. From Friday, June 15 through Sunday, June 17, Toronto lives its own piazza experience, with the fourteenth annual “Taste of Little Italy”. 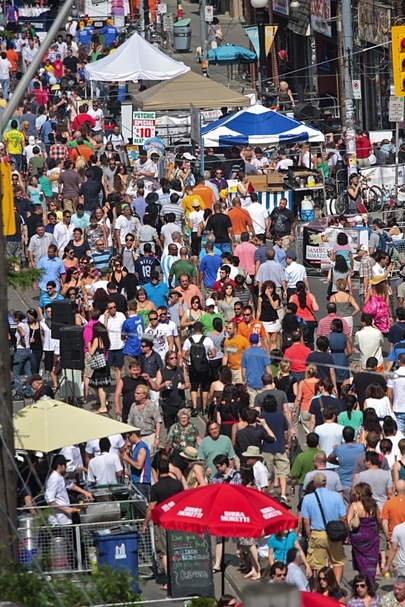 College Street, from Bathurst to Shaw, becomes a pedestrian square for the weekend, lined by local restaurants sampling their very best fare, music on every corner, shopping and exploring, and some of the best people watching in the city. Over 45 restaurants will offer expanded patios. And many of those restaurants have large screen televisions perfect for watching your favourite soccer team play during the Euro Cup! During the Taste of Little Italy, over 20 bands, choirs and other acts will perform from street corners stretching the length of College from Bathurst to Shaw. Some 45 College Street restaurants will be sampling the pride of their kitchens, serving up pasta specialties, meats, seafood, desserts and other treats, all for between $2 and $7. Restaurant patios will offer Sambuca Ramozzotti, and ice cold Coca Cola.